As part of our new site expansion we are looking to you, the site users for help.? We are aware that some of our reviews are a little short and lacking some of the finer details.? We want to improve this. We are also?planning on adding some great usenet guides and special features to the site soon.? So if any of our users feel like they want to write a review on a Provider, NZBSite, Newsreader or even any type of usenet?guide, then please contact us and we reply with more information for you. The Newsdemon Holiday Giveaway 2013 begins today and is full of prizes that will be given away at random to a lucky new NewsDemon.com member each day for the next seven days. Beginning on November 13th, all new users will be automatically entered in to the contest. Choose and sign-up for either a monthly account or a non-expiring block account by 11:59PM between November 13th through November 20th and you?ll automatically be included. One lucky winner each day could win either a brand new Roku 3, a $50 Amazon gift certificate, a Chromecast or be automatically upgraded to a ONE YEAR Unlimited Usenet account. Giganews has today announced some major price reductions and improvements to their services. They have decreased the Diamond and Platinum accounts by $5 dollars. The Giganews updated price plans are priced at $19.99/month for Platinum and $29.99/month for Diamond. Also there is an introduction offer: 50% off the first 3 months on Diamond accounts which makes the first 3 months $14.99/month. VyprVPN Basic is now included with our Platinum plan. VyprVPN Pro is now included with the Diamond Plan. 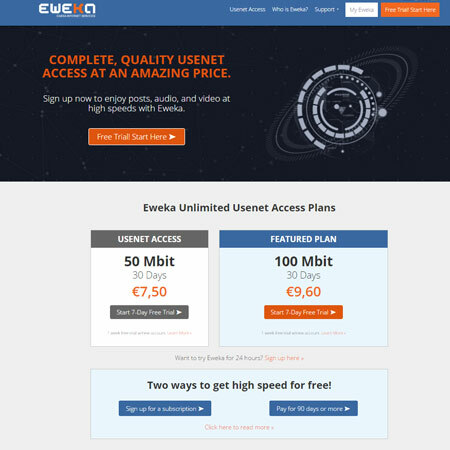 The Mimo usenet browser is now included with all their Usenet Plans. 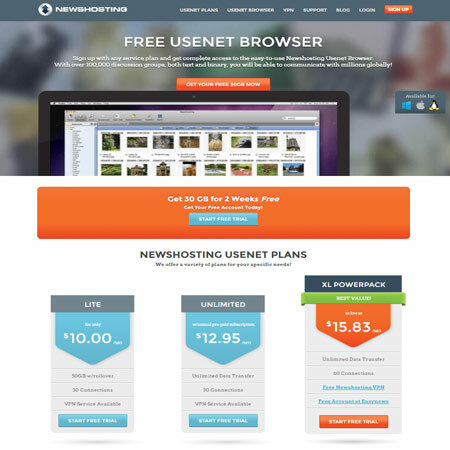 Fall is here and the UsenetServer team is excited to turn over a new leaf by offering one of the best unlimited Usenet deals ever! For the entire month of November, the $10/month UNS High-Speed Plus special will be available $5! 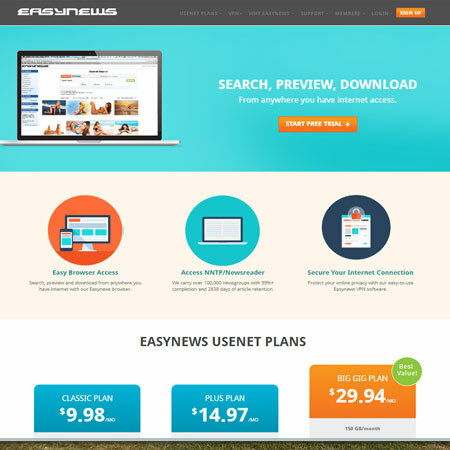 Well its been a while since we last done a site update, but today you are now seeing the new UsenetCompare site. We are still working on a few areas and will be updating the Newsreader, and Indexer reviews very soon! Also we are going through every provider as we speak to make sure all the latest and most up-to-date info is there. Any problems please use the contact us link. Today all the major Newgroup access providers reached an amazing 5 years of Binary Rentention. With 99% completion rates! 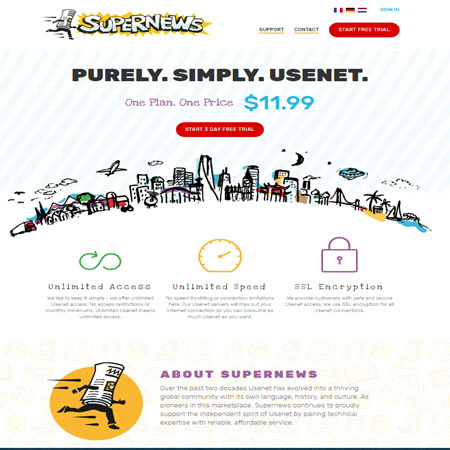 We have just been informed that Power Usenet, and Usenet.net have just had a massive retention upgrade. Both providers will now match retention and completion of Supernews at currently 1,093 Days (Correct As of 13/Aug/2011) of Binary Retention and about 3,000 days of Text retention. All these providers also will be increasing retention daily. Amazing as it is, all the big players are now WAY over the 1,000 days retention. When will they stop no-one knows.... Biggest mover in the retention games has been Newshosting/UsenetServer having jumped ahead of astraweb by one day. We have been working on updating the sites backend code for the past few months. The result is a fully re-coded back end (makes life much better for us!) and a new slick front end for the end user (YOU!) We have plenty more updates due, but we just could not wait any longer to go live with the new site. As always, any suggestions use any of the contact methods on site! As you may notice we have lost all the ratings and user comments in the update. We would like your help. If you use or have used a provider please add a short comment and rating. We are also adding a reviews section, you can submit a review on the relevent pages. With both Giganews and Astraweb continuing to expand the retention beyond what everyone expected!, we have fully updated all the providers to the latest retention levels. We was quite surprised to find how many now have more than 400+ days retention. The question is how much retention is needed? wasnt 365 Days enough??? Giganews eclipsed another Usenet landmark by reaching 300 days of binary retention. This milestone stands as the longest binary retention provided by any Usenet provider ? ever. ?Reaching 300 days of retention is a definite high-water mark for us and for Usenet as a whole,? Philip Molter, CTO at Giganews, said, ?As the industry leader, we are excited to offer such lengthy retention times to our customers, and we continue to work toward our goal of a full year?s worth of binary retention. ?